Hi everyone, I think summer is on it’s way (well it was when I schedule this post last Monday!). I’ve been in a Wee Stamps mood lately so there are quite a few cards to come in the next couple of weeks featuring these little sweeties. 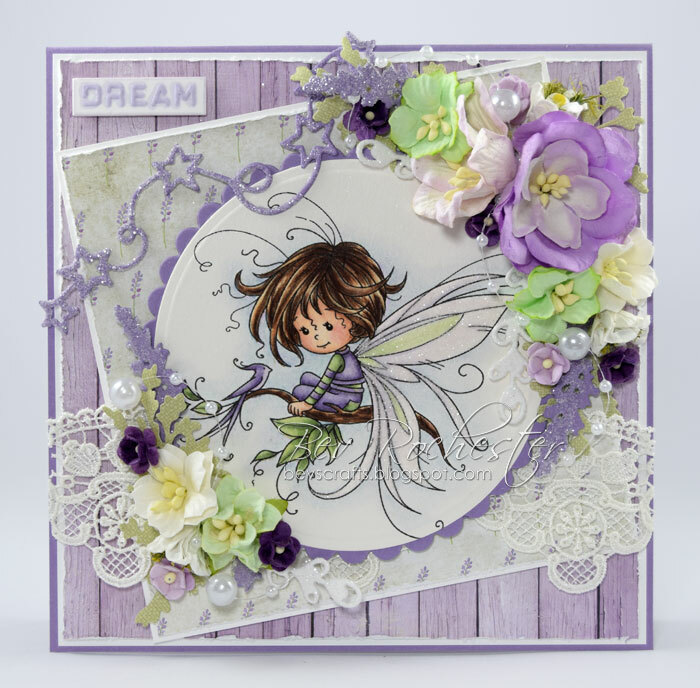 First up is Pixie, from Whimsy Stamps. 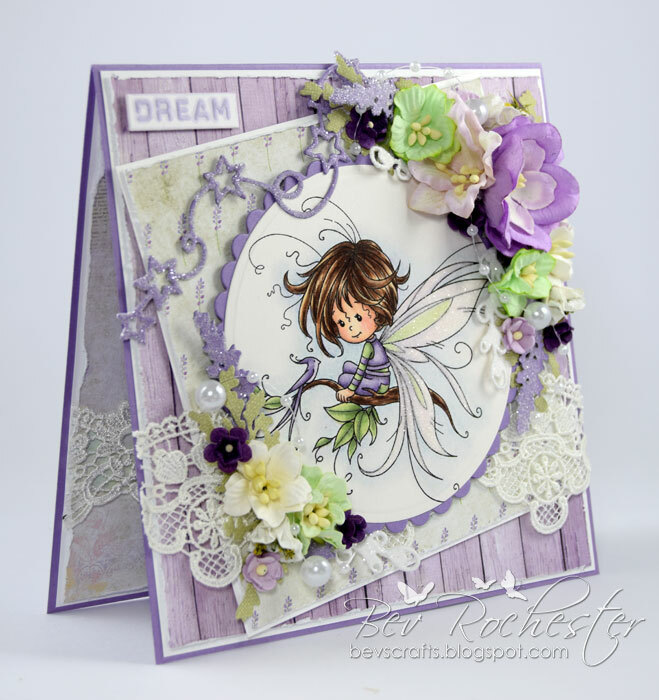 I've used the new Crafts & You Lavender papers from Noor Design. They are delicious, as are all the new goodies now in store, including the lace. It took courage to use up this stuff, I can tell you! 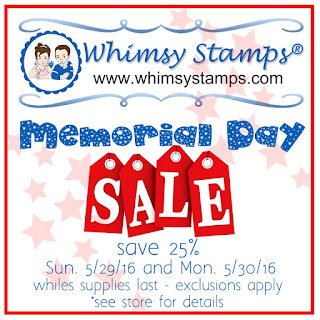 And before I close and get to the links, Whimsy Stamps are having a Memorial Day sale. I had another play with my Distress Inks, what a pleasure to colour with them now that I’m using that Fabriano paper I was praising a couple of weeks back. It simply is the bizz! Another of my new dies – that Tim Holtz doily is so gorgeous and cuts like a dream too. I got messy last weekend and had a good old play with paints and sprays. Love, love, love the English Roses, they are the perfect size and height for a floral arrangement. I folded the purple hydrangea blooms (smallest size) into four and glued at the base to change the look of the flower. I used some Tim Holtz stickers for the Hugs sentiment inside the frame. Behind the frame is some texture added with a butterfly mask and some texture paste. Whilst the texture paste was still wet I added some glitter for a bit of extra bling. Once the card was complete I used diluted white paint to add splatters to age the look a bit more. I added a few stamped butterflies to the front and inside. The paper is Studio Light No. 30 pad from Noor Design. I love being able to use a stamp designed for one thing for something totally different, and this sweetie called Wedding Joy by Whimsy Stamps is one of those stamps. I made the cute little hydrangeas by die-cutting some flowers with an old Magnolia DooHickey die, adding a bit green to the centres with a copic marker and popping a stamen in the centres once I had moulded them on a foam mat. The exquisite lace is new in stock at Noor Design, but with all the new gorgeousness Tracy has been adding to the shop, the goodies are flying out of stock so be quick! The papers are from a cheapie pad I picked up from The Rage, I think it was £2.99. It’s loaded with glittery pages and is just so pretty. Flowers from Wild Orchid Crafts – Magnolia, miniature gardenia, miniature sweetheart blossoms, lilies, apple blossoms. I’m slowly working my way through some of the dies that have been sat in the “still to be used” box, and this Sizzix Mixed Media set is another from that box. Noor Design now has these in stock and the second set is on order. They are fab to work with and give a quick and easy card that something extra. It helps to have such stunning papers to work with, these are by Lemoncraft (all links in the linky boxes at the end of the post). The very yum chipboard corner got a coat of white gesso then whilst the gesso was still wet I sprinkled over Distress Glitter (which of course is not showing in the photo – typical!). The berries are also now on the Noor Design website, there are so many new goodies I sprained my pointer finger clicking that mouse lol. Well …… it would have been rude not to. Now I just gotta find a place for it all in my craft room. I carried the design through to the inside of the card. I cut out a butterfly from the reverse side of the paper. All flowers used are from Wild Orchid Crafts. 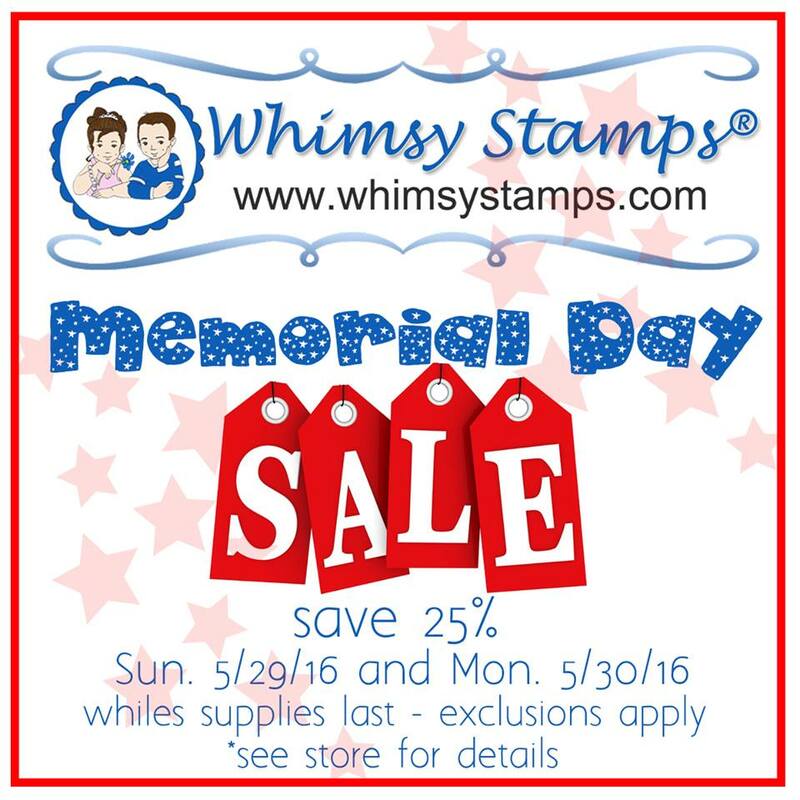 Welcome to the May 2016 Whimsy Stamps Release. Over the next 3 days the Whimsy DT girls will be showcasing all the *BRAND NEW* red rubber stamps. All the stamps as well as details on how to win some fabulous prizes can be found on the Whimsy Inspirations Blog, where you can also see the fabulous creations the DT have made with the new goodies. The following products that I used on my cards are from Noor Design - the Lavender die is from the Sizzix Thinlints Wild Flowers by Tim Holtz, the paper pad is Craft & You Vintage Time and the yummy Glass Strawberries are also from Noor Design. The Lala-Land lattice doily die at the top of the card will be in stock soon, watch this space. Oh! 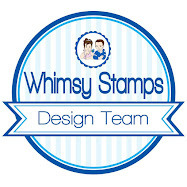 and for the UK girls, Noor Design is stocking the new Whimsy Stamps release, due in stock any day now. All flowers are from Wild Orchid Crafts - I used magnolias, cottage roses, chrysanthemums, 20mm and 15mm open roses, forget-me-nots. Pop back to the Whimsy blog again tomorrow for peeks and more new goodies. 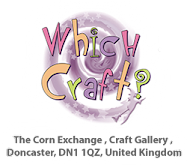 And before I close, for those lucky enough to be able to attend the Whimsy Craft Retreat, here’s the details, and you can get more info from the Whimsy Stamps website. I got a delivery of THE BEST watercolour paper ever and had to dig my distress inks out to have a play and the verdict? It’s beyond the best, it really is. See, I’m not a watercolourer. I’m way too heavy handed and end up having to try and lift off some of the colour and then I get pilling or staining. Then I get in a hissy fit and it goes in the bin. Not any more, I’m so darn stoked (small things amuse small minds lol). Link to the paper and all the other Noor products are in the linky pics at the end of the post. Iced Spruce for the shading around the mice, Black Soot for the mice, Tumbled Glass for the tea cup & saucer, Vintage Photo for the Tea. 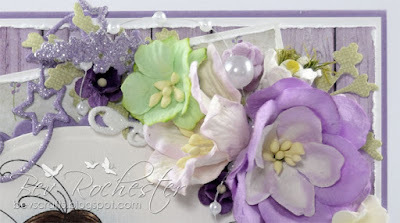 I’m loving these Cut Outs from Wild Orchid Crafts, they are so pretty and easy to use. I painted mine up, I prefer the fresh look a coat or two of white paint gives them, although they can be used as is. It’s the first of the month so a new challenge on the Noor Design Blog, this month the theme is Spring Flowers – perfect! I received a Magnolia stamp in my DT kit and gulp! I haven’t coloured a Magnolia image in years but I had such fun. I had forgotten just how easy these Tilda stamps are to colour. I’ll pop all the links at the end of the post.